It’s easy to think that job performance is only what you do at work. That it is all about technical skills and such. But that is far from the truth. Job performance in many ways has to do with your view of life. And how you approach life. Here are a few things you can do to improve your performance for career success. Look at even the smallest piece of task you need to do at work as a way to sharpen your skills. What does that mean? Think about the most boring task you have to do. Approach it with great attention. This action trains you to pay attention to everything. When you are great with the smallest of things, the greatness of your work shows in every action. This goes beyond just your promises to your fellow colleagues, boss and other departments. Whatever that is on your to-do list, make sure you tackle them as they pop-out. You should not give yourself any excuse on why it cannot be done and why you will tackle it later. How can this effort improve your job performance? Simple. It pushes you to deliver things on time, whether to yourself or to someone else. You become more productive. A better word perhaps is spending time 'reflecting.' Each week, spend time reflecting on your past job performance for the week. What have you done well? What can you do better? If you have not done this, it can sound contrived. But once you do it and it becomes a habit, you will naturally do it without even thinking. Reflecting and thinking about your work performance helps you adjust your job performance. A feedback loop for yourself. But remember, once you reflect, you must put the personal feedback into action. Whatever you do, you can always be better than now. To become even better, invest in yourself. Spend time reading about your industry and reading inspirational books. The internet is huge with resources that are free for you to tap into to broaden your knowledge and sharpen your skills. You may think investing in yourself is about spending money. Well, yes and no. Yes is when you invest in seminars or classes to upgrade your skills. But you can also invest time in reading. Reading can make a huge difference in upping your job performance and how to view things. You can improve your job performance drastically if you give yourself a set of goals on what you want to achieve in a given time period. This allows you to evaluate yourself later. How do you manage your growth potential and what do you need to look out for? Do you believe in yourself or have you been defeated so many times that you feel like a failure? 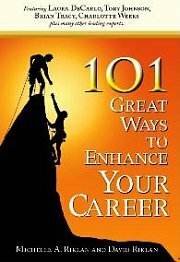 For more articles related to how to improve your job performance, click here.